REALCO’s main mission is to guarantee human well-being. Therefore, drawing up an environmental charter is in perfect accord with our values. By its experience, REALCO wishes to prove that an ecologically responsible attitude is compatible with the healthy growth of a company. The environment is at the heart of our business since REALCO is a biotechnology company specializing in enzymes. With this charter, we are ensuring that our behaviour and our actions are consistent with our mission. Furthermore, we are committed to the constant improvement in our environmental performance by reducing our ecological footprint. The aim of the charter is to bring together all REALCO employees, our customers and suppliers in an ambitious, societal project which will contribute to the well-being of staff. Employees are aware of less pollutant alternatives when it comes to their travel and are committed to encouraging car sharing. For this, an interactive map has been made available to them for organizing their motor vehicle journeys. A bicycle shelter is available for staff and visitors. An access map via public transport is published on the website. It is given to our customers and suppliers when they visit. The company car policy favours vehicles with low CO2 emissions. Flexible working time is granted in accordance with the methods defined in the employment regulations in order to avoid rush hours. Business trips are reduced when possible and replaced by video- and audio-conferences. Grouped deliveries for lunches are available to employees. REALCO selects local carriers and/or those committed to an environmental charter. Drinking fountains are made available to personnel. Carafes of water and crockery replace plastic beakers. Food products are delivered in bulk. Basket of local seasonal fruit is offered to personnel weekly. The surroundings of the company are laid out with trees and nesting boxes which encourage the proliferation of biodiversity. The REALCO orchard enables employees to take advantage of seasonal fruit. All office and production waste is sorted for recycling. Organic waste is recovered and supplies the compost to create green fertiliser for the beds around the building. Cut grass and leaves are also composted on site and recovered for the beds. Only essential documents are printed, always favouring black and white and two-sided printing. Printing on draft quality paper is favoured. REALCO keeps its archives electronically for preference. Printer toner cartridges are sent to a specialist recycling company. Any unused object (PC, printers, mobile phones, chairs, tables) are recovered, recycled or given to charities. Our office building is passive. The offices, workshop and exterior fittings have low consumption lamps for lighting. The offices are fitted with movement sensors to prevent any unnecessary electricity consumption. All computers are turned off each evening. Each staff member has a sweater available and favours the sweater over extra heating in the offices. The 252 solar panels enable REALCO to be independent in terms of electricity consumption. All in-house communications take place by e-mail. Instructions are displayed in offices to make personnel aware of our eco-responsible approach. External communications take place electronically as much as possible. 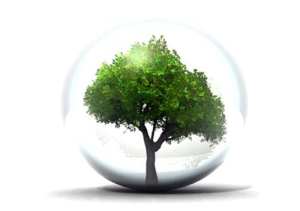 REALCO employees are committed to adhering to this Environmental Charter and communicating the aims and objectives of the company in terms of the environment to customers, investors and other external stakeholders. This charter was drawn up for the first time in February 2017 and will be updated each year.